A security profile role determines which areas of the software an employee may access. Please see the section on Security Profile Roles in this guide for more detailed information. An employee can have a separate security profile role at each club where they are assigned (for example, and employee may have a supervisor role an one club, but only basic employee security privileges at another). 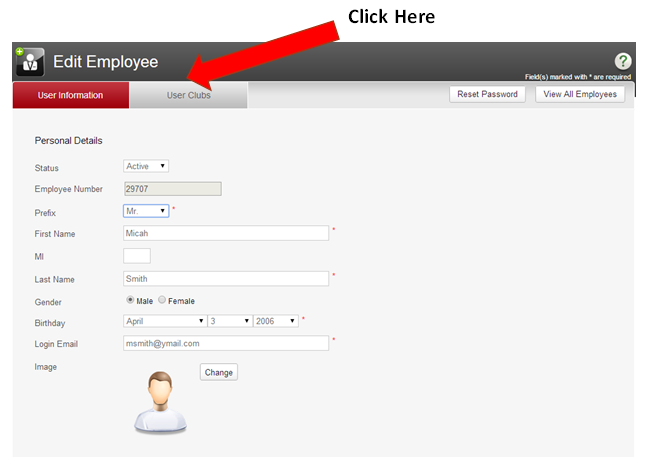 Click the icon in the Edit column next to the name of the employee for whom you wish to edit their security profile. 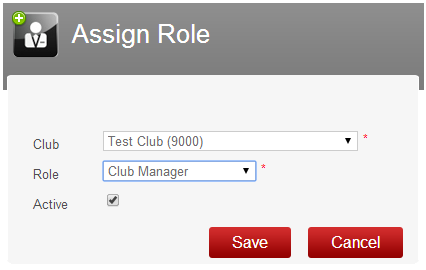 Select the desired security profile role from the Role drop-down menu, and select the Active check box, then click Save when done.